At a time when our democracy is under threat and people’s lives are on the line, Free Press members like you are speaking out at every opportunity and driving a groundswell of change. You’re calling your lawmakers, mobilizing people in your community and donating your hard-earned money to help shape the world we all want to live in. Member donations are the lifeblood of our work and every dollar powers change. Your contributions allow us to remain independent. That means no money from business, government or political parties — and no compromises or distractions from our mission. Your generosity and partnership are helping to rally thousands of people every day to build a just and equitable media where everyone has a voice. Thanks to you, we know that we can win. Media have the power to shape society and we’re building power to reshape the media. Your gift of $5, $25, $50 or more is an act of resistance — and hope — that will fuel the fight for your rights to connect and communicate in the crucial months ahead. The next Congress will present new openings to push back on Trump and offer a positive vision for the future. We plan to hit the ground running. In the midterm elections, voters flipped control of the House of Representatives and elected a record number of women, people of color, young people, members of the LGBTQI community, Muslims and Native Americans. That’s the good news. On the flip side, we saw setbacks in the Senate, widespread voter suppression and politicians who won despite peddling the sickest and most dehumanizing stereotypes about immigrants and people of color. In the months ahead, we’ll be meeting with the new leaders and members in Congress and pushing for hearings, investigations and proactive legislation. We’re committed to fighting for the urgent interventions needed to reverse the harms of the last two years — and are working hard to transform media and technology to realize a just society. With every dollar you give, you’re helping to seize new opportunities — and fight for the future you and everyone you love deserves. No matter what you care about — racial justice, environmental protections, immigrant rights — you need Net Neutrality to share your story and fight for what you believe in. But because of the Trump FCC’s disastrous vote in 2017, Net Neutrality is no longer the law of the land. In the campaign to restore the open-internet rules, people like you helped us push the Senate to pass a Congressional Review Act resolution to reinstate the open-internet rules. Three Republican senators joined the entire Democratic Caucus in passing the CRA, and achieving this kind of bipartisan victory in a polarized political climate required months of grassroots organizing and inside-the-Beltway advocacy. The win caught the big internet service providers by surprise: They’ve gone all out to torpedo a companion bill in the House. The bill has nonetheless drawn the support of 177 House members — but it needs 218 to force a floor vote before the end of the year. To that end, our members are calling key lawmakers in droves. We’re also running pro-Net Neutrality ads in local newspapers, and our first-ever bilingual billboards are up in a district in South Texas. And we’re supporting state and local efforts to adopt Net Neutrality protections. In November, we won an important victory when the Supreme Court refused to take up an industry challenge to the 2015 Net Neutrality rules. Our case against Ajit Pai’s repeal of those same rules heads to court next February, when a federal appeals court is expected to hear oral arguments. We’re going to prove that the FCC had no legal justification to overturn the rules — and that it ignored public will when it voted to repeal. With so much at stake, it’s crucial to protect people’s digital civil rights. With your gift of $5, $25, $50 or more, we can mobilize thousands more activists in this campaign and bring back Net Neutrality. From the neo-Nazis and racists who rioted and murdered an activist in Charlottesville to the man who massacred 11 people in a Pittsburgh synagogue, we’ve seen how the hate that pervades the internet can have tragic real-life consequences. 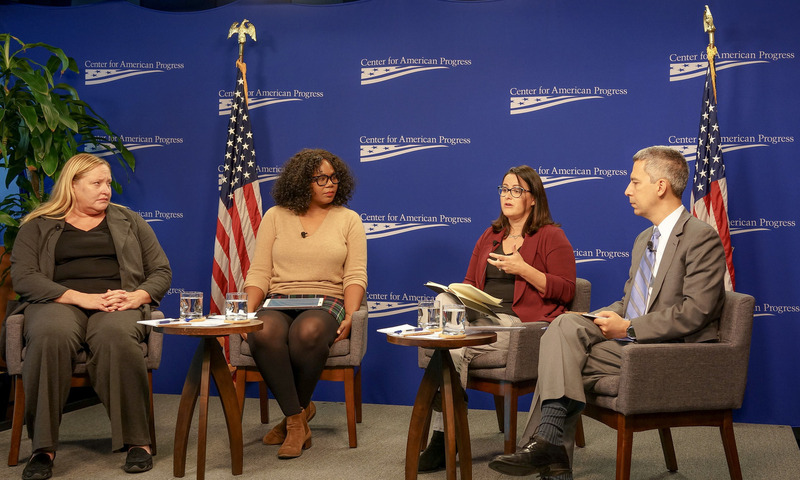 Over the past year, Free Press, the Center for American Progress, Color Of Change, the Southern Poverty Law Center and other allies studied how to disrupt hateful activities online. In October, we launched “Change the Terms,” a campaign promoting model corporate policies and terms of service we’re urging companies like Facebook, Google and Twitter to adopt. These policies are intended to curb online hate while preserving freedom of speech and protecting marginalized communities when they speak out. Companies that adopt these rules would bar people from inciting or engaging in violence, intimidation, threats or defamation targeting an individual or group. We’ll track the progress of these companies in adopting these efforts and will issue a report card in 2019. Your gift will rein in hate online. FCC Chairman Ajit Pai claimed he would strive to close the digital divide, but he’s done the exact opposite. He’s trying to gut the Lifeline program, which helps people living in poverty afford phone and internet access. We’ve led a broad coalition opposing this cruel plan and showed how it would harm seniors, people of color, people with disabilities, domestic-violence survivors, people living on tribal lands, veterans and unhoused people. 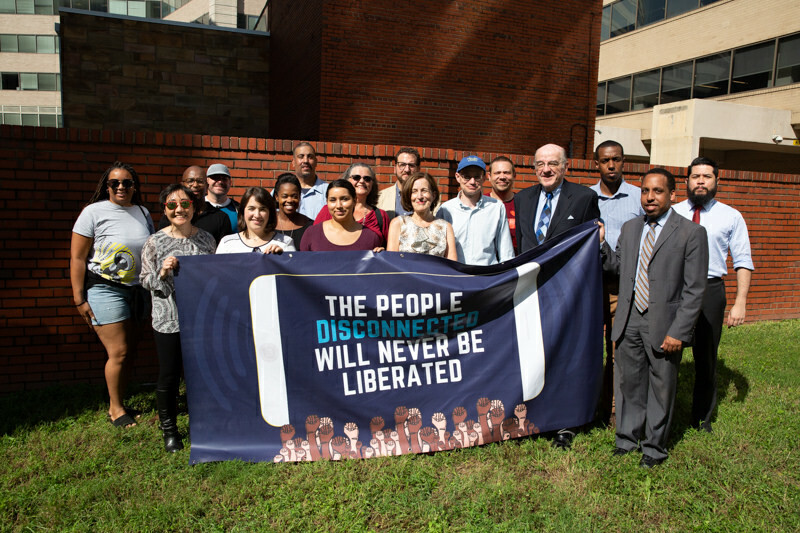 In October, we held a speakout in front of the FCC that brought together activists, advocates and Lifeline subscribers for two hours of powerful testimony. The Lifeline plan isn’t the only threat to affordable internet access: We’re also rallying opposition to T-Mobile’s bid to take over Sprint. The two companies have helped spur competition in the mobile market by offering low-cost plans, but that will end if the FCC approves this deal. The merger would leave us with just 3 major mobile carriers, giving T-Mobile the power to set prices as it sees fit. That would mean higher prices for everyone, with disastrous consequences for poor people and people of color, who disproportionately rely on T-Mobile and Sprint for more affordable internet access and prepaid services. What’s more, this deal could lead to job losses for close to 30,000 people working at T-Mobile and Sprint stores. We’re highlighting this merger’s many harms in our formal challenge at the FCC, and our legal team is debunking the two companies’ claims about the deal’s alleged benefits. 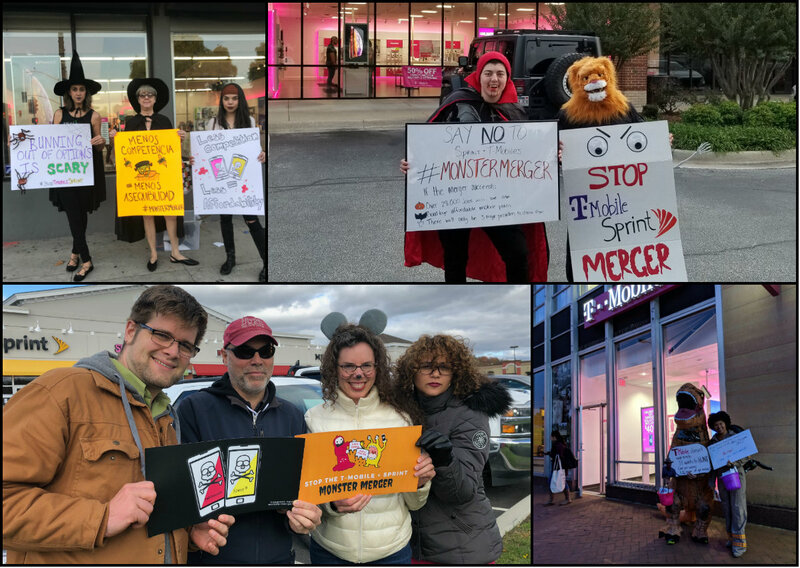 We’re also getting creative in our opposition: In October, Free Press members across the country staged Halloween-themed Monster Merger protests outside T-Mobile and Sprint stores. Internet access is a literal lifeline for millions of people. Your generous donation today will help us preserve essential programs and keep down prices. Internet access remains a crucial issue in Puerto Rico more than a year after Hurricanes Irma and Maria left nearly the entire population without phone and broadband service. As many as 5,000 people died, and the inability to make lifesaving calls for help contributed to the death toll. Free Press is urging the FCC to appoint an independent commission to fully analyze the causes of the communications crisis — and to ensure that something like this never happens again. We’re also forging strong connections with people in Puerto Rico. 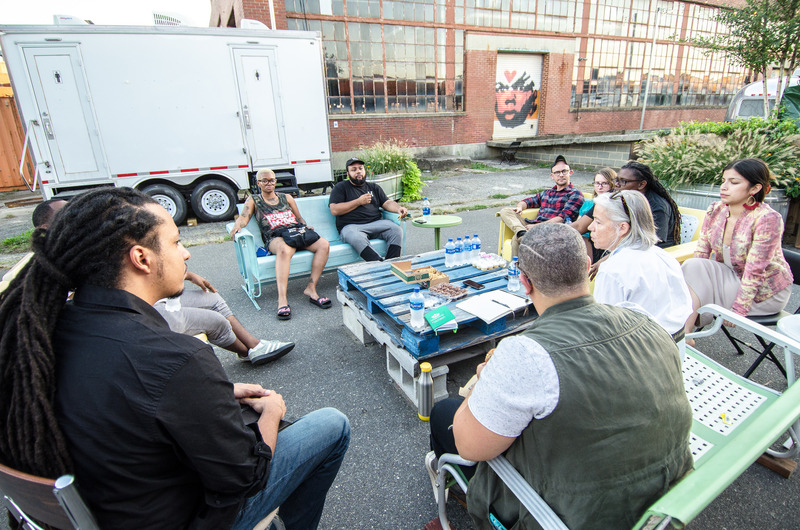 This fall, a group of Free Press staffers and allies visited the islands and co-hosted “story circles” to build community and imagine what a just and resilient communications system there would look like. 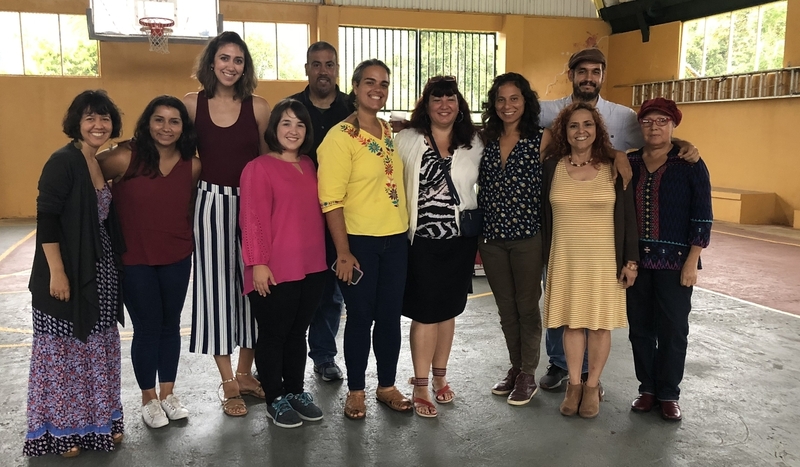 We’ll return to Puerto Rico in 2019, and we’ll also host story circles in Holyoke, Massachusetts, and the Bronx, both of which have large Puerto Rican communities. 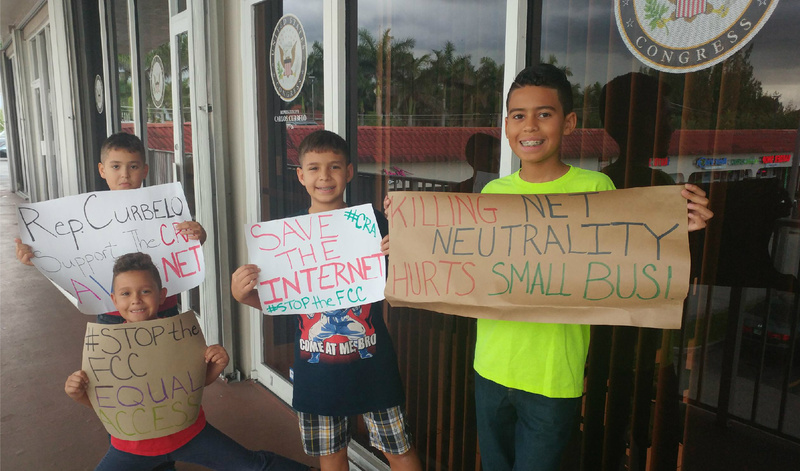 And we’re showing how the FCC’s Lifeline proposal threatens Puerto Rico: More than 300,000 households there could have their service disrupted if Chairman Pai succeeds in gutting this essential service. For Puerto Ricans on the long road to rebuild and recover from the hurricanes, saving the Lifeline program is crucial. Donate today to amplify the voices of Puerto Ricans who are pushing the FCC to address the island’s communications crisis. Outsized corporate power is threatening safety and democracy. In our corner of the world, corporations are spreading dangerous viewpoints and erasing local voices. One of the main culprits: The Sinclair Broadcast Group. We helped defeat this pro-Trump propaganda machine earlier this year when it tried to buy Tribune Media, a deal that would have forced local-TV stations reaching 72 percent of U.S. households to broadcast right-wing, racist and Islamophobic content. Our advocacy, communications, organizing and legal teams helped push the FCC to derail the merger, a decision that prompted Tribune to back out. For a deal once viewed as inevitable, this was a monumental victory. The merger’s collapse is the result of millions of people like you who fought back at every opportunity. 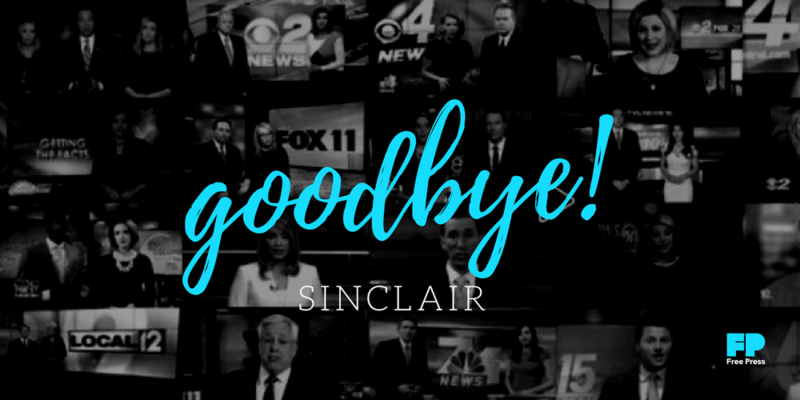 But the fight isn’t over: In the year leading up to Sinclair’s defeat, Pai gutted a range of longstanding media-ownership limits. We’re fighting back in federal court to restore those limits; without them, it’s only a matter of time before the next toxic merger threatens local media. You can help put the brakes on runaway media consolidation: Donate today to fight for local, diverse and independent voices. Our News Voices project is about ensuring people have the trustworthy news and information they need to participate fully in their communities. 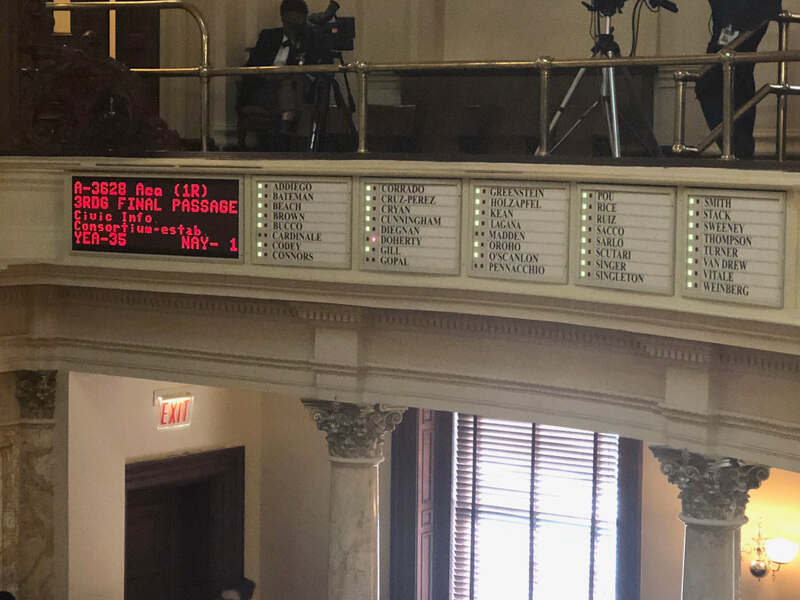 We made history last summer when the New Jersey legislature passed the Civic Info Bill — legislation we conceived and drafted that establishes a nonprofit consortium that will use public funds to award grants to local media in a state that’s long suffered the effects of consolidation. This is the first time in U.S. history that any state has supported local journalism in this way. After approving $5 million in the state budget for the consortium, Gov. Phil Murphy signed the bill into law in August — but a spending dispute with the legislature has jeopardized the funding. We’re working with the thousands of people who have taken action in this campaign to push the governor to fully fund the effort. We’re also exploring how to expand this pioneering work to other states. News Voices is also showing how an approach grounded in organizing can benefit newsrooms and the communities that have been underserved for far too long. We teamed up with public-TV station WLVT in Lehigh Valley, Pennsylvania, to teach organizing techniques to new reporters. We worked with housing organizers in New York City on how to build long-term relationships with local news outlets. 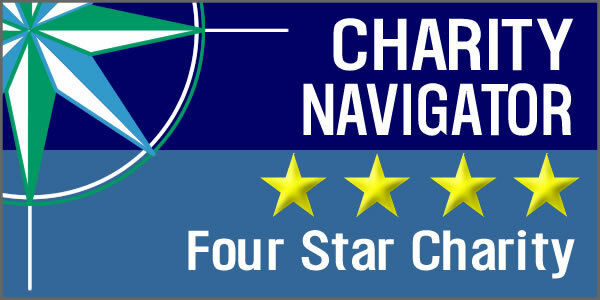 And News Voices: North Carolina is hosting monthly discussions in which residents and Charlotte Observer reporters explore ways to ensure local journalism reflects a range of local perspectives. In November, we’ll host gatherings in the community of Rocky Mount so residents have the space to collectively brainstorm about the local news they want to see. You can be part of this historic effort to transform local news: Chip in today to connect more communities and newsrooms across the country — and rebuild local journalism from the ground up. With everyone's rights to connect and communicate under attack — and people’s lives hanging in the balance — we need each other more than ever. Free Press is forging new spaces and pathways for making change. Our campaigns give us hope, but it’s members like you who give us real power and independence. That’s why it means everything that you’re one of the more than 1.4 million members who fight alongside us. And with every dollar you donate, you’re driving positive change. We couldn’t be more grateful. With so many threats to contend with in the coming months, we’ve never needed your support more: Please donate as much as you can give today.